Delicious breaded and ready-to-fry polenta balls! The breaded polenta balls Lunella Appetizer, are the result of a lot of ZINI´s development, ready-to-fry, allow a simple and fast preparation. They are delicious and ready in 5 minutes, combining the charm and flavor to what´s best in convenience and quality. 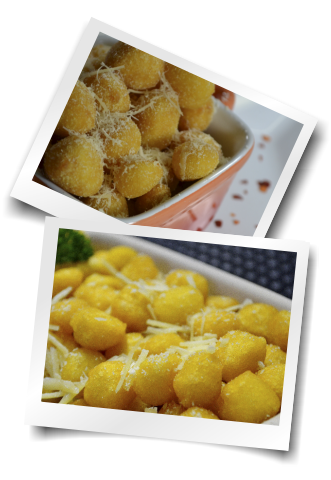 Pour the polenta balls Lunella Appetizer in hot oil (190 ° C), let it brown and remove with a slotted spoon. Sprinkle cheese, herbs, salt and other ingredients and serve.